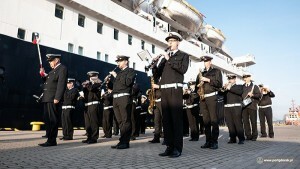 The call of the Astoria inaugurated the cruise season at the Port of Gdansk. This year, a record number of cruise ships will moor at its quays. 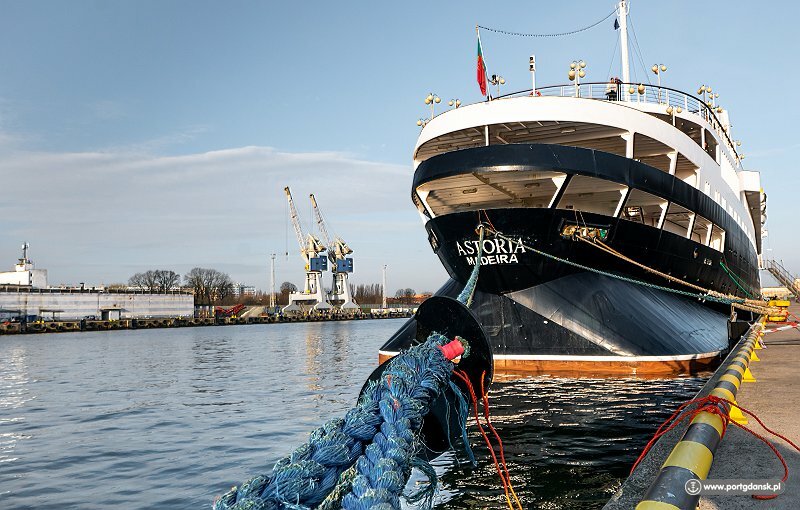 The Astoria is 160 m long and can carry nearly 500 passengers and 260 crew members on board. It sails under the Portuguese flag and has just inaugurated the season at the Port of Gdansk. The Astoria – the first cruise ship to call at Gdansk port this year, was welcomed by an orchestra and representatives of the Port of Gdansk Authority. – Passenger ships are an increasingly important element of the port landscape. More and more of them are coming to our Port. Cruise ship calls benefit not only the Port itself, but above all the city and the region. According to statistics, a tourist coming ashore spends about EUR 80 on food, local attractions, and souvenirs – says Lukasz Greinke, President of the PGA. Passengers can enjoy comprehensive services after the ship is moored. Coaches await by the quays to take them sightseeing, touring around Pomeranian attractions. The most frequently visited sites include Gdansk’s Old Town and Malbork Castle. 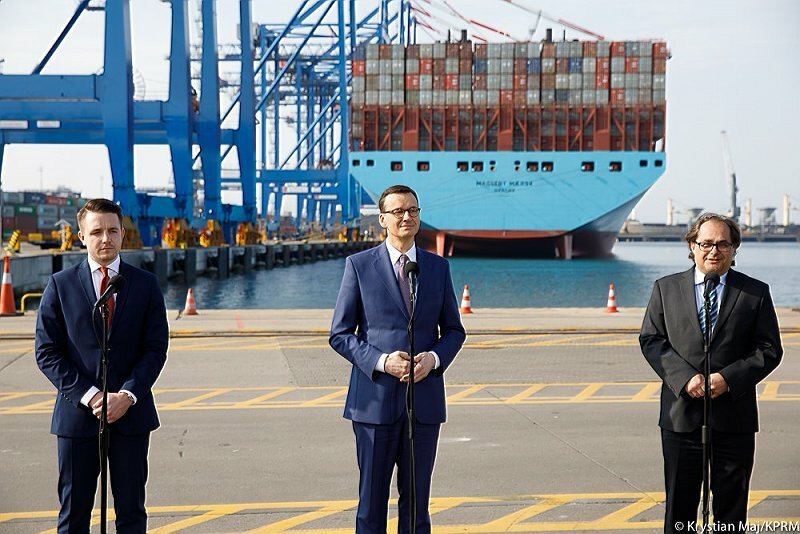 In 2018, the Port of Gdansk will beat its previous pre-advice record. Before 2017, an average of 30 vessels a year called at Gdansk, in 2017, that number grew to 64, and this year, there will be as many as 74 cruise ships. The largest vessel expected at the port this season is the Marina, sailing under the flag of the Marshall Islands. 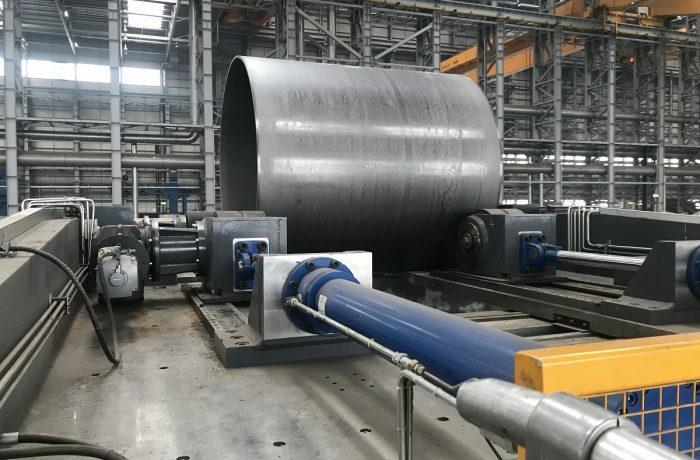 It is 239 m long and will call at Gdansk on 20 June. Gdansk will also welcome Viking Cruises ships this year – all four of their vessels are expected at the port. The newest one – Viking Sun – was launched at the end of 2017. The cruise season at the Port of Gdansk will end on 20 October with the visit of the 176-metre-long Marco Polo. – The interest of foreign tourists in Gdansk keeps growing, which is why we are working on preparing the appropriate infrastructure to help us receive cruise ships more often. 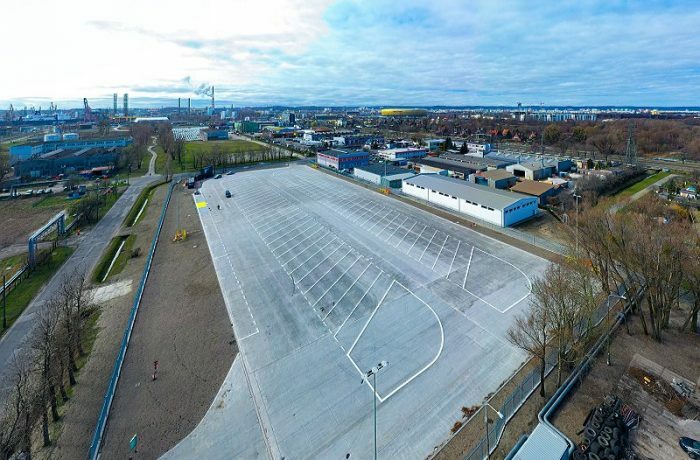 We would like even bigger vessels to call at Gdansk, so we are planning the construction of a passenger terminal within the Central Port – explains Marcin Osowski, Vice-President of the Board and Director of Infrastructure at the PGA.